Discovered this Bonneville Custom on an Italian site called Cafe Racer Culture. It’s a pretty sweet site packed full of cafe racer and custom goodies. Because man (especially Italian men) can’t live on bikes alone theres also loads of beautiful pinup girls if the bikes weren’t getting you excited. 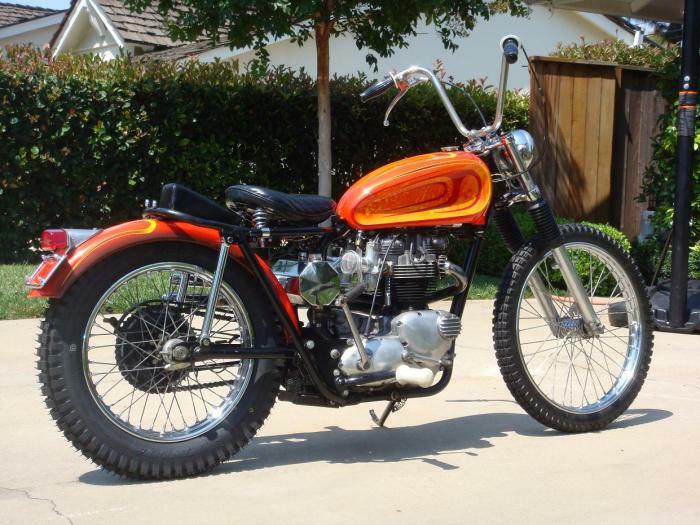 Hit the jump if you want to see more pics of this orange retro Bonnie. Another Triumph worth checking out is this great Bonneville Cafe Racer.